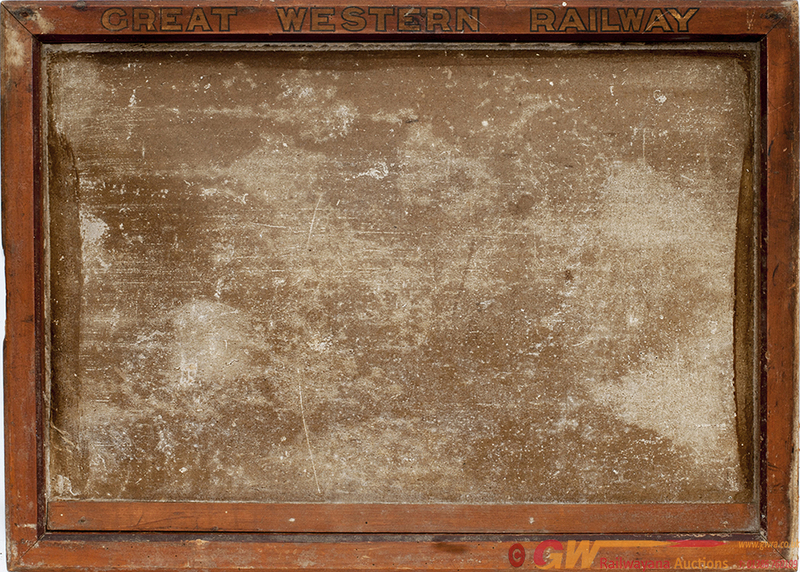 GWR wooden notice display board ex Bampton (Devon). In original condition with gold Great Western Railway sign writing. Measures 28.5in x 20.5in (not glazed).